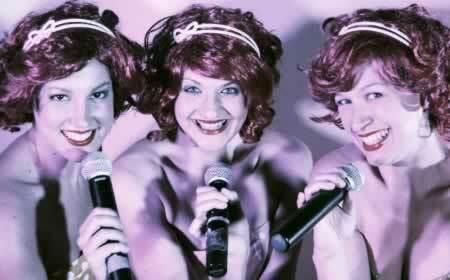 Throughout December, and what looks like a fabulous New Year�s Ever Party at the Kalk Bay Theatre, the three ladies from Follow Spot Productions will entertain guests with a charmingly precocious performance of music from the past five decades. Face the Music 2 stars the talented trio of Vanessa Harris, Delray Burns and Margaux Fouche. Their performance is sassy and slick, features great audience interaction (including some husband hunting) multiple costume changes, solo and group performances and professional visual effects on the backing screen. Their repertoire is delightfully diverse and some of the artists covered include Tina Turner, Adele, Queen and Roxette. The format of the show is highly entertaining and engaging and combines performances of chart topping music from the past decades with a game show, where audience members have to guess the names of the musicians, match songs to movies, musicals, decades and pictures. At the evening scores are tallied up and the winner wins a bottle of top quality brandy from Distell. Face the Music 2 is on at the Kalk Bay Theatre from December 12 � 15; December 18 � 23 and December 27 -30, 2012 at 20h30 and on December 31 at 21h30. January 2 to 6 2013 at 20h30. Tickets for New Year�s Eve cost: R350 [show with buffet meal (canap�s: as much as you can eat and a glass of champagne on arrival).